With an in-house team of textile designers, graphic designers and engineers, Bravo has the ability to design and and build cabinetry and upholstered furniture. We are also able print a range of fabrics suitable for upholstery and soft furnishings. With our wide format ChromaLuxe technology, we can design and print durable, hard furnishings using aluminium and wood. Want to create a talking point for your interior or a new opportunity for branding? 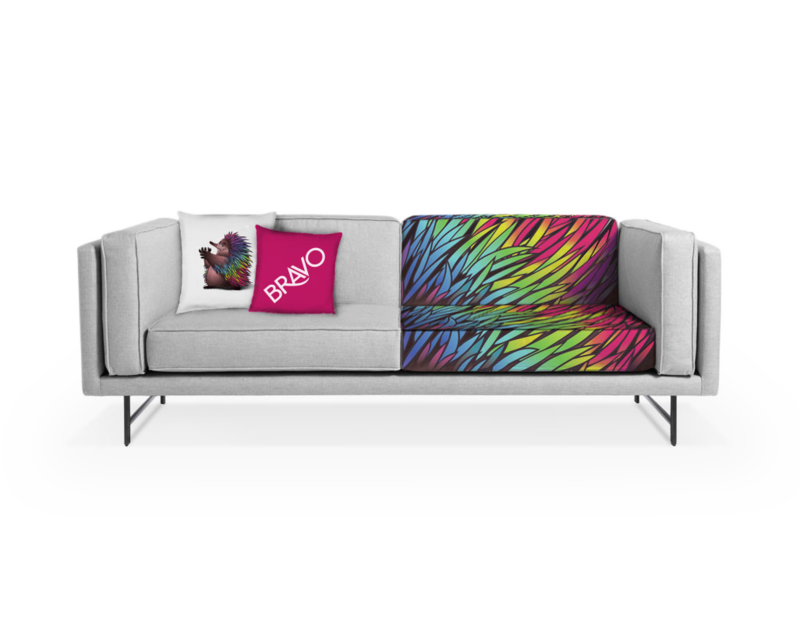 Bravo can assist you to create fabulous, bespoke pieces of furniture (cabinetry and upholstered), individualised cushions, along with furnishing and upholstery fabrics by the metre. ChromaLuxe custom printing on aluminium and wood. Soft furnishings have long been used to create comfortable interiors and to create a certain atmosphere. Why not use your soft furnishings and cabinetry as a further opportunity to create the right look and to enhance your branding? We’d love to help you bring your creative ideas to life. Feel free to call us for a chat, at our headquarters on 03 9769 1644.